France's Emmanuel Macron had incensed Turkish officials by saying in a newspaper interview last week that France would have a "real problem" with the campaign if it turned out to be an "invasion operation". Syria: Turkish President Recep Tayyip Erdogan on Saturday sought to reassure France's Emmanuel Macron over the operation of the Turkish army inside Syria, telling the French leader it was aimed against "terror elements" and that Ankara had no eye on Syrian territory. 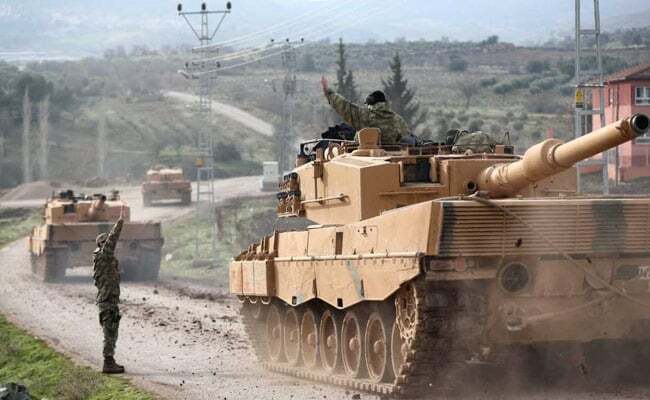 Turkey on January 20 launched the "Olive Branch" operation against Syrian Kurdish People's Protection Units (YPG) militia which Ankara sees as a terror group and a threat to Turkey. Mr Macron had incensed Turkish officials by saying in a newspaper interview last week that France would have a "real problem" with the campaign if it turned out to be an "invasion operation". Turkey's Western allies do not classify the YPG as a terror group and have worked closely with its fighters in the battle against Islamic State (IS) jihadists. But in telephone talks, Erdogan told Macron that Turkey had "no eye on the territory of another country", the state-run Anadolu news agency reported. He added that the operation was "aimed at purging" the area of Afrin in northern Syria of "terror elements" such as the YPG. Mr Erdogan has sought to build a strong relationship with Macron despite rocky ties with the EU, visiting Paris in January for talks. But after Mr Macron's remarks last week, Foreign Minister Mevlut Cavusoglu responded that France had no right "to give us lessons" on a cross-border offensive, pointing to France's own colonial history.